As India is rent into two nations with the creation of Pakistan, communal violence breaks out on both sides of the new border and streaming hordes of refugees flee from blood and chaos. At an overrun train station, Shankar and Kenshav, twin Hindu boys, lose sight of their mother and go in search of her. A young Sikh girl, Simran Kaur, has run away from her father who would rather poison her than see her defiled. And Ibrahim Masud, an elderly Muslim doctor, limps toward the new Muslim state of Pakistan, rediscovering on the way his role as a healer. 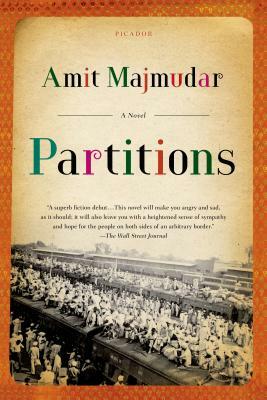 A dramatic, luminous story of families and nations broken and formed, Partitions, "written with piercing beauty, alive with moral passion and sorrowful insight, [is] a rueful masterpiece" (Kirkus Reviews, starred review).